Russia is flexing its muscle or is at least engaged in some serious trolling just as Trident Juncture 18 is underway in Norway — NATO’s largest drills in decades with some 50,000 troops, 10,000 combat vehicles, 65 ships, and 250 aircraft. 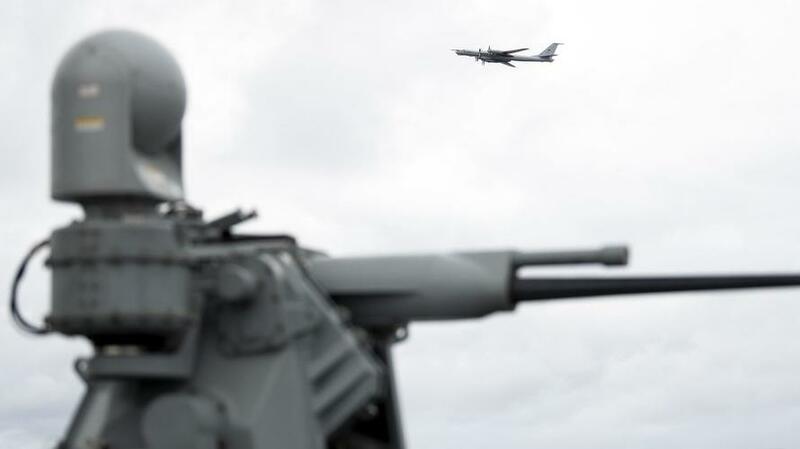 On Friday a Russian Tupolev Tu-142 bomber unexpectedly flew close to the USS Mount Whitney at the very moment Marines on board were gathered for a group photo during the NATO military games. The large long-range bomber appeared during the moments a formal group picture was being staged aboard the USS Whitney, Military.com confirmed. The ship's crew will conduct a series of exercises on anti-submarine and air defense and perform combat training exercises with the use of tactical weapons, the MoD statement said further. With NATO's Trident Juncture set to go until Nov. 7, it will be interesting to see if Russian aircraft or vessels conduct another close passage near NATO assets operating in the Scandinavian and Arctic regions.